DFID is planning to spend up to £100 million on food security and livelihoods in South Sudan over the next 5 years, the largest of all its programs. Is that a lot or a little? 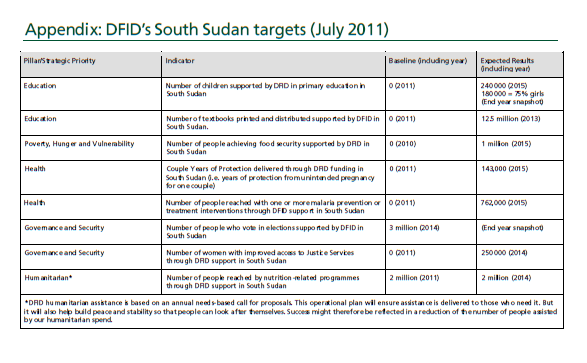 DFID's expected results in this area are to support 1 million people to achieve food security. 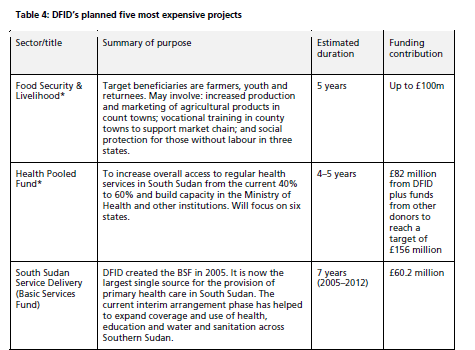 Not knowing the details of the program, I am going to imagine for a second that DFID has a zero-overhead cash transfer or food voucher planned. £100 million over 5 years, divided between £1 million people, is 5.4 pence a day each. "Hello there Mr. Deng, here's 5 pence, buy yourself a sandwich yeah? Go nuts with it, I'll give you another 5p tomorrow! Sorted yeah?"